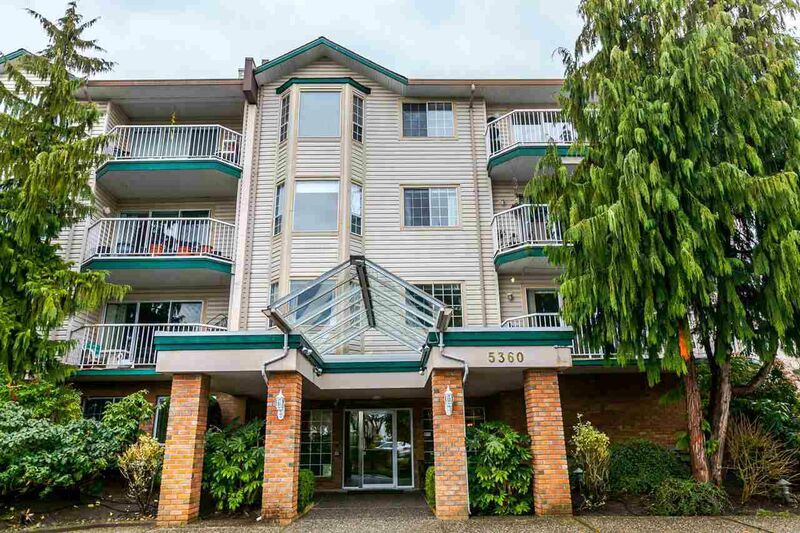 2 bdrm, 2 bath, neat & clean, updated suite in desirable Parkway Estates a 55+ building centrally located close to amenities of Langley City. Boasts tasteful décor including recent paint in liv rm, attractive kitchen with scads of white cabinets w/updated handles & vinyl plank flooring, spacious din rm w/laminate flr, entertainment sized liv rm w/corner gas f/p & dr to balcony, 2 bdrms incl mbdrm w/2 pce ensuite & w/I closet, updated mn bath w/w/I tub w/tile surround. 1 parking stall. Storage locker across the hall from the unit for your convenience and security. Amenities rm, exercise rm, games rm, guest suite, workshop & more. A terrific suite in a great adult oriented building.